More advanced organizations know that business technologies are more valuable when they are aligned to their Corporate Strategies. Websites, Social Media, Online Ads, etc. These terms and technologies are vital to any business today, but must have a strategic north. Strategies, of any type, must be dynamic, changing and adapting over time and also, contain high components of business innovation. Innovintergy Consulting is a business unit of Inversiones Gómez Montes S.A.S., originally created on 2010 as a response to the growing need of businesses to include on their Corporate Strategy Internet and Technology components. When we talk of including these components, we mean of taking into account Internet and Technologies as strategic and tactical components, something that’s absent on most organizations. 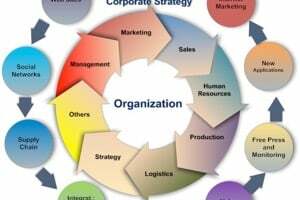 Organizations are usually thought as living organisms where different areas work on specialized themes to accomplish one corporate goal. Among these areas, there are strategic ones and others that support the former ones. This difference makes the strategic ones play a more active role for the company. 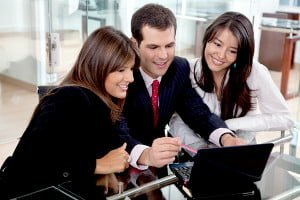 For example, the technology department is part of the support areas and although it is important for the company, it has a simpler role (with respect to the organization’s objectives) when you compare it with say, the commercial area. This situation brings several problems for the companies, including an inability to maximize components such as Internet and Technology. Although our consulting services are on Technology Strategies, Internet Strategies and Strategies for Business Innovation, our focus is always the customer and their needs. Technologies such as the Internet, are important, but they play a secondary role in our methodology. This is so because the best technologies will fail, if they do not acknowledge and fully understand the human role. Speaking of technology, without mentioning technology: Our value for our customers. We focus on high value delivered to our customers. The different areas of the company are invited to participate, to generate and implement new ideas. Together with our customers we generate actionable knowledge.